Bunn The Baker has moved! 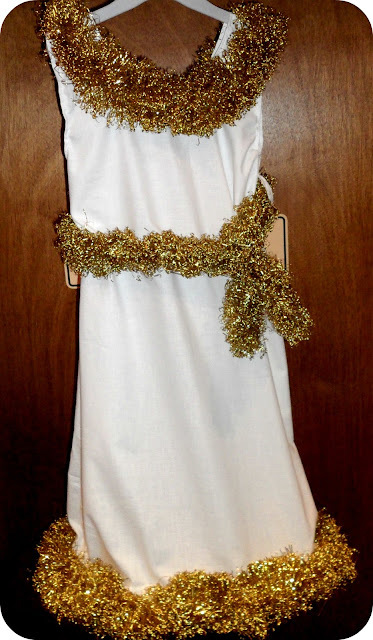 When the school sent home a note saying we had to produce an angel costume for my daughter to wear in the school play I was very upset. Not because I didn't want to do it, but because they said we weren't allowed to make wings! Anyway, here's how I made the dress. 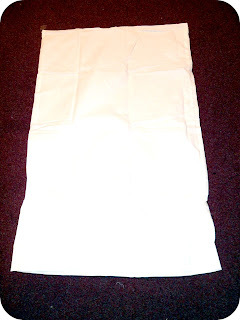 First, get yourself a white pillowcase. 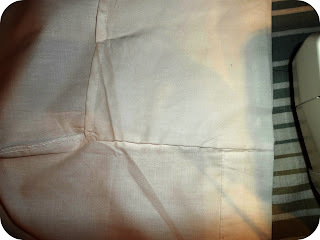 Cut a hole in the middle at the top for the head to go through and more holes at the corners for the arms. Because my child is a skinny minnie I've also cut down the sides to bring the waist in and give the dress an a-line appearance. 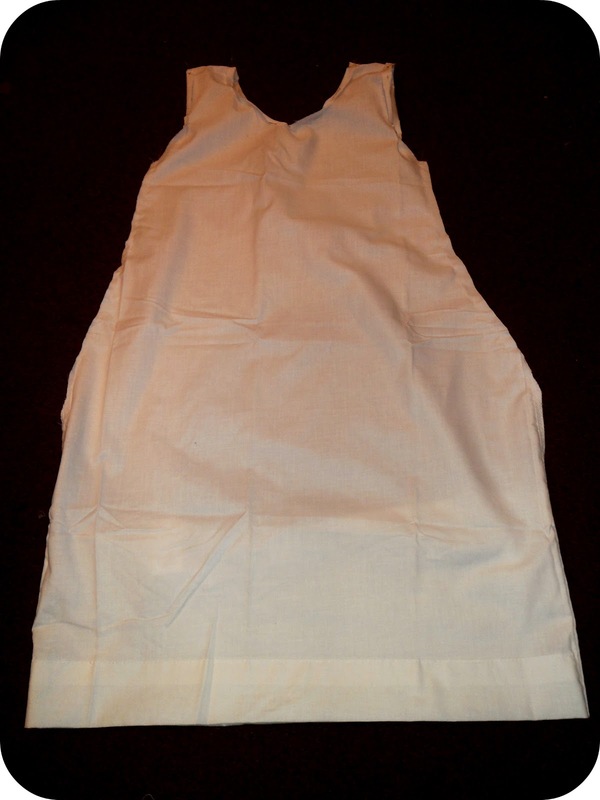 At the bottom of the dress you will have a pouch where you'd tuck the pillow in. This can be left alone but I've chosen to neaten it up. 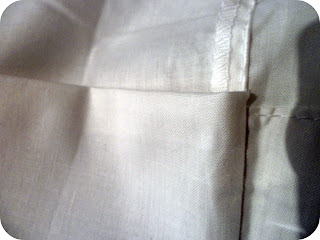 I cut down the sides of the pouch close to the side seams to about an inch above the hem line on the other side, and then across the pouch. The extra material is folded underneath and pressed into place. 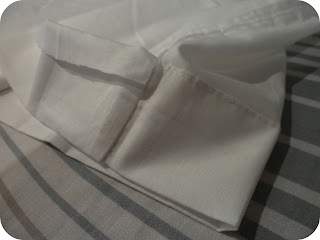 Then top-stitch close to the edge to give a matching hem all round. Start by pinning the tinsel around the neck and then sew into place on the shoulders first, then a couple of places on each side. 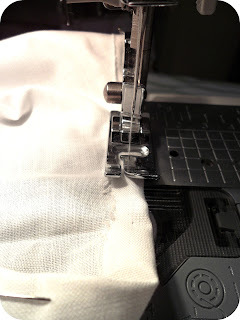 Do the same thing at the bottom of the dress, pinning the tinsel first and then sewing in place. 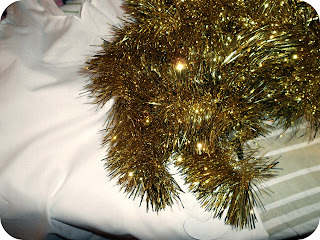 Add another piece of tinsel tied round the waist and, hey presto! You have yourself an angel costume! If you're a bit nifty (and don't mind the other mums hating you) there's loads you can do to this dress. I added a hoop in the bottom seam to make the dress really a-line and belt loops to stop that tinsel falling off. 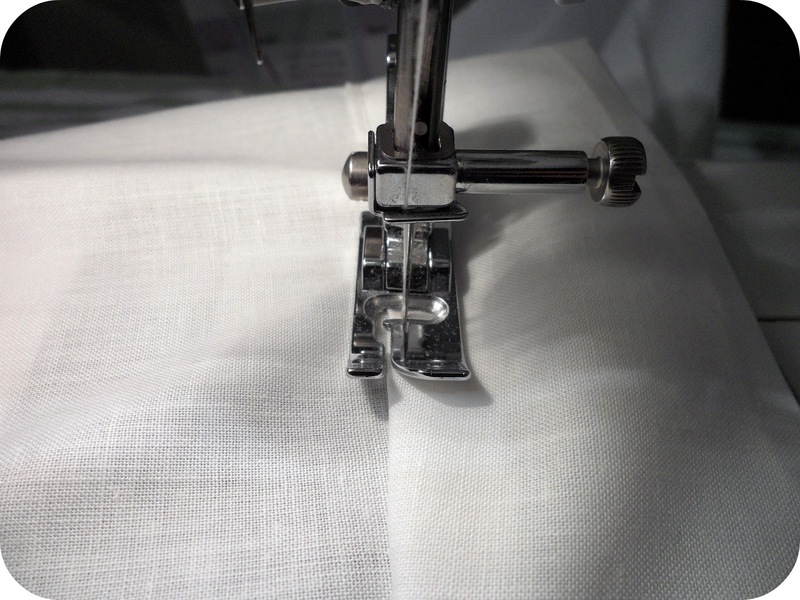 You could use fabric glue and glitter to make the dress really sparkle. 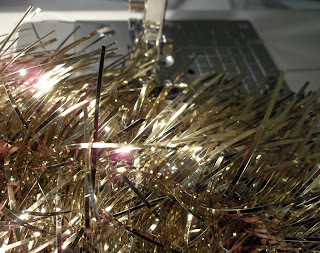 I also (accidentally) melted a bit of tinsel half way through and it went all curly. Deciding this looked pretty cool I did it with all my tinsel! Of course you could make this in the same way for a (slim) adult or even use the same technique with a single duvet cover for a more flowing adult's costume. Have fun! I remember my mum making me one as a child, 30 plus years, i am about to make one for my little girl :) thanks for this. I am sure mine will look no where as good though! I love to get feedback from my readers so leave a comment! But, be warned, anything rude, spammy or irrelevant will be removed. How safe is your life from 'Facebook'?